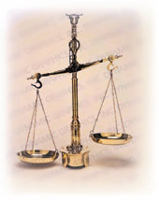 We are a GENERAL PRACTICE law firm located in Roseville, Minnesota that is here to serve all of your legal needs. We are committed to providing the best results to all your legal matters and to help guide you through the many steps of the legal process. Our experience and legal knowledge is extensive and we pride ourselves as being a small law firm providing each client with one-on-one personal service.